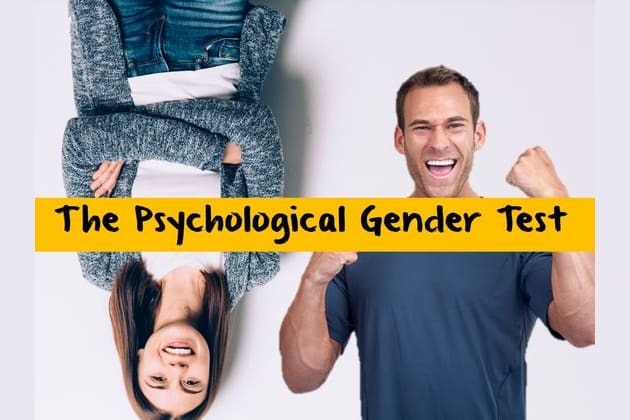 What Is Your Gender According To The Psychological Personality Test? Do you read books on a daily basis? Does the idea of spending a Friday night by yourself bother you? Is military force the most effective way to fight terrorism? Has your country gone far enough in its efforts to protect the environment? And finally, do you know why manhole covers are round? According to the Psychological Personality Test, you are definitely a man. You are outwardly calm, but tend to be balls of nerves on the inside. You are artistic, shy, and conscientious, and your friends find you sensitive and trustworthy. According to the Psychological Personality Test, you are definitely a woman. You are goal-oriented and strong-minded. When you start a task, you don’t stop until it’s completed, and completed well. You are a daring individualist, and you find your own way in life. These 17 personalty questions will determine your true gender.